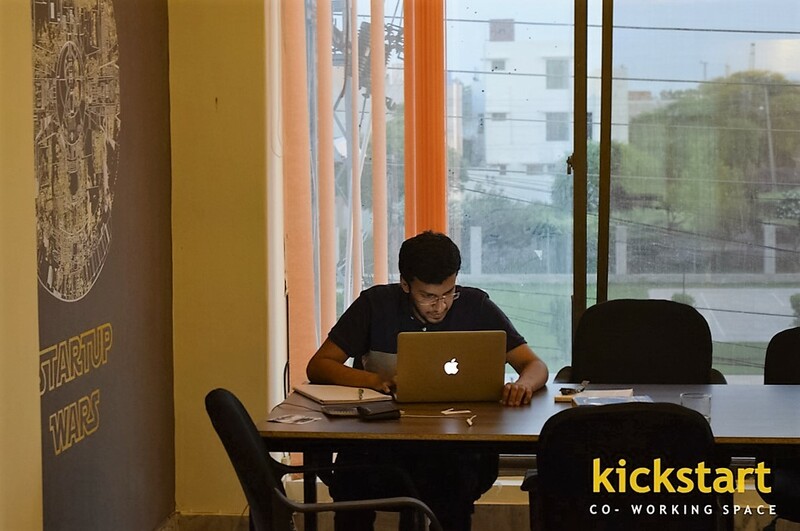 Kickstart is a co-working space which provides shared workspace and community for startups, entrepreneurs and freelancers. You don't have to get your internet connection or arrange for power backup or hire an office boy! Kickstart takes care of this for you! Are you a member of Kickstart 2.0? 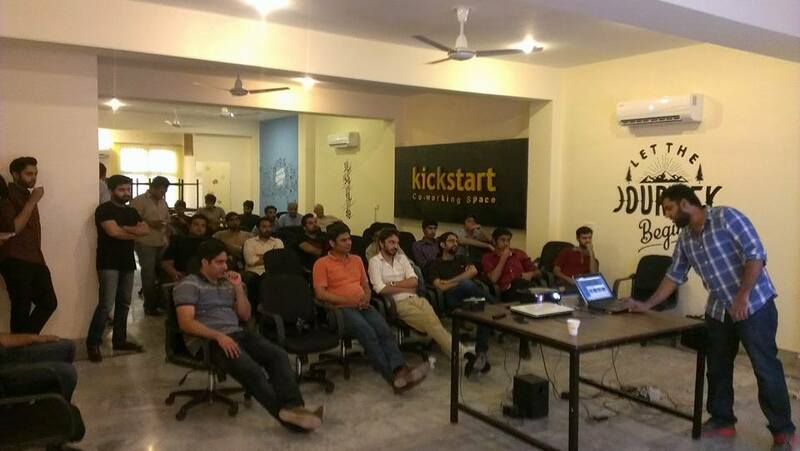 "Kick off your work at kickstart"
Its always a great pleasure for me on being part of kickstart community. I don't remember any time, when i have problem and it was not resolved by the community manager or the office boy. If you are a freelancer or running a startup... kickstart is a great place for you for sure. You will not only get a peace full work environment here at kickstart with that you will get great couple of services from the office boy. Offcourse, the sitting arrangement, the place, interior shortly everything is out of the box what you can imagine. Being part of kickstart, i made good friends here with them i can speak on a vast rang of topics. As a freelancer, at kickstart i'm not really afraid of "if someday i don't have work than what i do... I can get it immediately from kickstart community members". Whats not to love about a place where you can work in a creative, stimulating and productive environment? A place in Lahore where beauty, culture and art are everywhere you look. A place where its "easy" to work because its comfortable, well thought out, secure and very inviting. To some people its home away from home... Yes, its a great place to work but the best thing for me is the diversity and quality of the people you meet here, the new breed of professionals. If you want to work, learn and earn Kickstart is the best option. I would not work anywhere else! 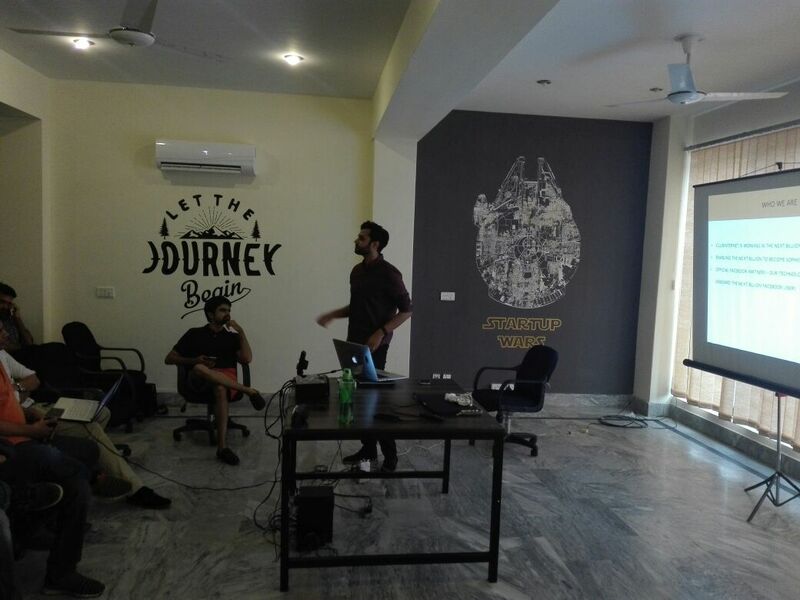 "The Best Co-Working Space I found in Lahore"
I have been working here for a year and a half now and found awesome environment! Place is very easy to access and easy to find. Admins are very friendly. It will be my favorite spot to work from, as I can see people passing by and natural light. Green tea and tea are available to order. Market is nearby and wifi is super fast. Wonderful staff and clean atmosphere and i love working here. If you're looking for a place to work with the best community to grow with, I will recommend this spot this is Kickstart co-working space. 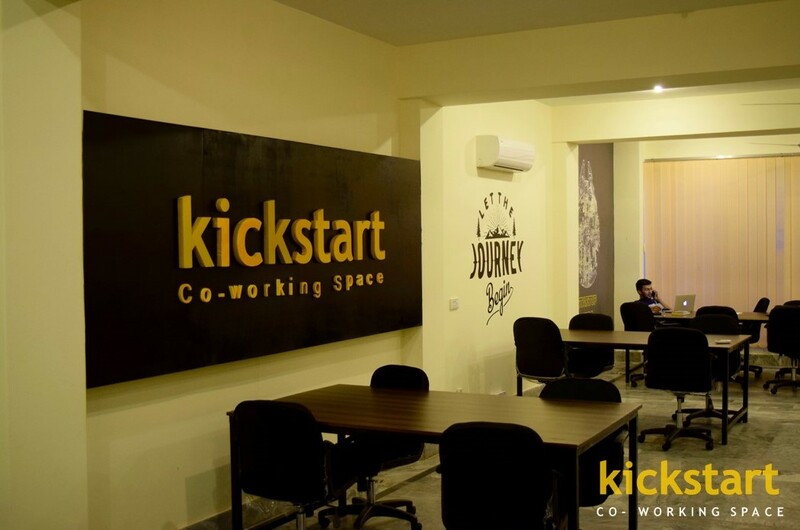 Kickstart is one of the best co-working spaces of Lahore comparing the most economical price for providing the fantastic facilities required for a modern day working. Central location with easy accessibility, small relaxation area with bean bags and a swinging chair, cozy environment, high quality furniture, team collaboration, fast internet connection with backup, free tea, a friendly community of professional coworkers. You can find all bank branches, restaurants, markets, mosques, wide parking, parks, bus stops and what not in the surroundings. If you ask me i would highly recommend kickstart to any freelancer, startup or a team. Good work guys! "What a co working space...!" This space is one of the best spaces in Lahore. I worked in TechHub connect previously but the experience of this space is too much better than the previous one. Facilities are much better like dedicated and fast internet access, no network loses as well as peaceful environment for freelancers. No timing issues you can work day and night as like you can. My suggestion is that if you wanna do some creative work you should have to visit it and i assure you that you'll be amazed. Every thing is just good for a freelancer i have a great experience with this space Kickstart. One of the best co-working spaces with flexible access hours, perfect working environment and ideal security. The one facility that makes this place stand out among other co-working places is that the staff is extremely co-operative and friendly, and always try to solve our routine problems to their best. The amenities provided by the management here are admirable. Other members are also very co-operative and helping. Not to mention, the discussions with others members provide us with great insights to the problems or issues we face in our work. In summary, if you are looking for an ideal co-working space, you should definitely give Kickstart 2.0 a try! I don't know from where should i start. But within very short time, i got addicted to this workspace and coworkers here have become my family. Management actually knows how to make everyone comfortable at Kickstart. The environment here is very peaceful, great for productivity. Without a doubt one of the best experience I have had, the management at Kickstart are always striving to improve the place and introducing new facilities and updates at a regular pace. Kickstart makes it much easier to focus on the work without any distractions. Overall it is an excellent place to work for individual freelancers or startups. "Peaceful neighborhood and all needed facilities in economical price"
Kickstart 2.0 is situated in an easily approachable area and a nice neighborhood facing a small but beautiful park, away from the noise of heavy traffic and away from over-saturated commercial areas as it happens in typical commercial setup. That gives me an amazing peace of mind and focus while working on my projects. The staff, especially the founders themselves are very friendly and nice people, working hard all the time to resolve any kind of administrative issues quickly. Aside from that, the space has all the needed facilities on an affordable rent price. I'm happy to have chosen Kickstart as my workspace and plan to continue here as long as I need a workspace :). "Great co working space "
I am the part of this amazing co working space since it's inception and I am enjoying it every day since then. The owners are super cooperative and understands the Spirit of a lively co-working space . Highly recommended and best place for your professional networking. No matter if you are a single freelancer and kicking off your career Or you are an established agency working in digital space this place has everything to take your success a notch higher . They also conduct workshops and trainings so your skill set will always be updated and latest . Cheers . 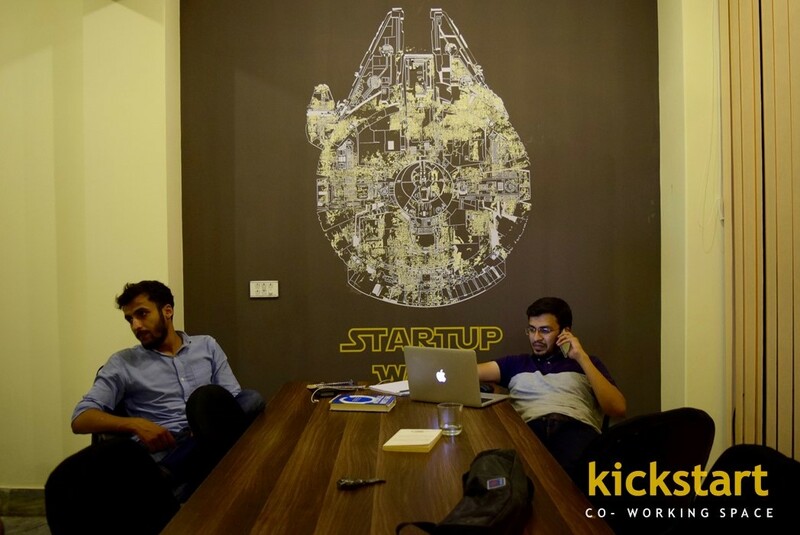 "Only amazing space in Lahore"
Among all coworking spaces, Kickstart is the best one. Wifi speed, electricity, electricity backup, office boy services, unlimited tea and what not. Among all other things, the community is taking this place one step ahead. 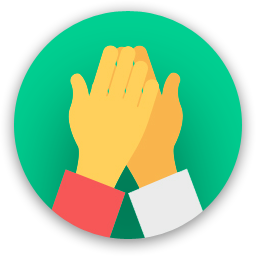 Community members are very much co-operative and helping. They help me whenever I am stuck on working something. The ambiance is really good and due to this, I am able to work 11 hours a day without getting tired. So, I can now say that this is the best suitable place for me to be and to grow my startup to make an established company. Great place with a very friendly staff and flexible access but the internet is kinda bad, which isn't their fault because of the location. But the atmosphere and the people there are awesome. I highly recommend this, especially if you're looking for an amazing community. My Burger and a lot of restaurants deliver there and there are a lot of cafes close to the area. Kickstart 2.0 will be in touch with you soon to confirm. 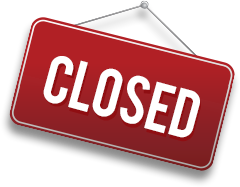 Kickstart 2.0 has received your membership enquiry and will be in touch with you soon.